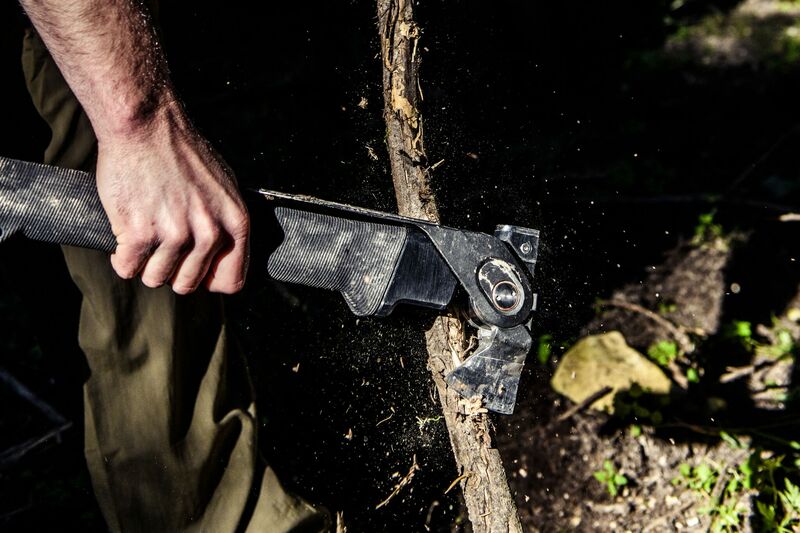 A multitool on steroids, the new Combar is a heavy-duty super-tool complete with axe, spade, hammer, knife, and folding saw. 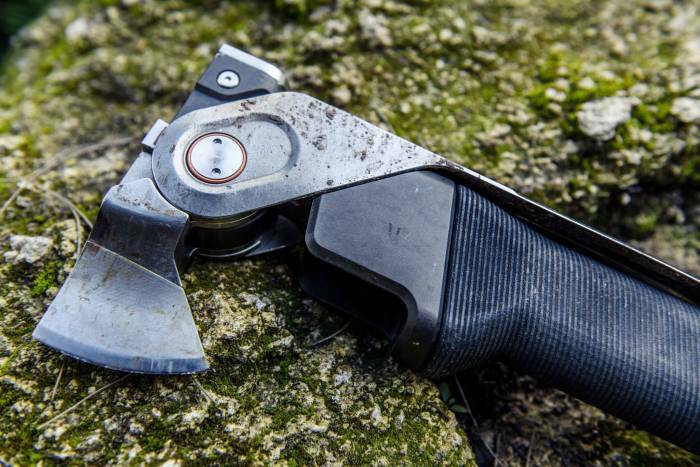 Calling all survivalists, hunters, first responders, overlanders, and outdoor enthusiasts: If you’ve ever dreamed of a beefy, do-all multitool, the Combar could be just what you’re looking for. Designed by ex-Special Forces veterans and constructed with aircraft aluminum, titanium, and stainless steel, the Combar promises to be plenty strong while providing maximum comfort and minimizing weight (3.2 pounds for the Combar Pro). Each tool includes an ax, hammer, and spade, plus a storage magazine in the base to carry other survival essentials. 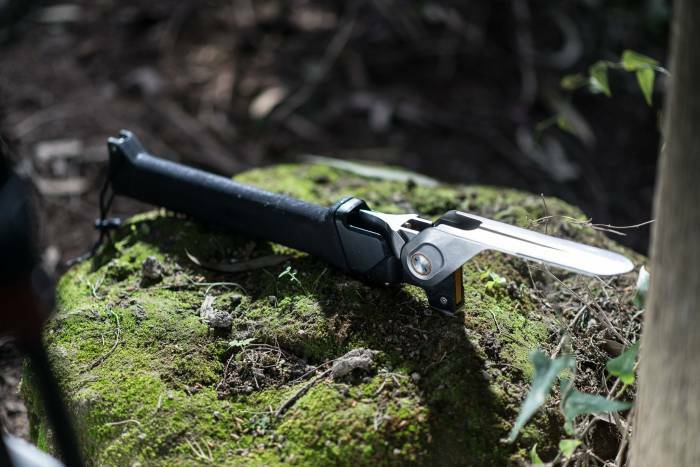 The Pro model comes with a survival knife and folding saw that fit into the magazine and easily slide into the base. A safety lock keeps sharp edges tucked away when not in use. The optional holster makes it ready for use at a moment’s notice. It’s not cheap, at $359 for the basic Combar and $499 for the Pro. But it’s an ultra-portable option that could potentially replace several pricey individual tools. The hammer is textured and has a hardness of 44–48 HRC. The axe has a stonewashed finish and a stainless steel blade with titanium in the cheek. For the spade, it is also stonewashed and made from titanium. We haven’t yet tested the Combar, but it intrigues us. And judging from the success of the Kickstarter campaign – it reached 100 percent funding in less than 24 hours – we’re not the only ones interested in a mega multitool. You can preorder now and save up to 40 percent off the retail price.